I mentioned yesterday that hotel booking website PointsHound would be offering a double points promotion starting today. The promotion is now live on their website. I reviewed PointsHound extensively back in May. It pays to compare rates — in the past I have noticed occasional outliers where the site winds up more expensive than booking directly, but that hasn’t been frequent in the searches I’ve done. Always check prices against other sources. They offer some prepaid rates, usually giving you more miles, but those likely will not earn elite stay credit or points in the hotel program of the property you’re staying at. They also offer “Double Up” rates which do earn points and elite status credits. Know which you are booking. I would book the former when I’m staying as a one-off with chains I don’t usually participate in points programs with, and the latter with my regular chains — although Hyatt and Marriott will honor elite stay benefits (just one give points and credit towards earning status) on prepaid rates. Since I’ve already requalified or Hyatt Diamond stats through February 2015, I would consider a higher points-earning prepaid rate at a Hyatt (and still get my status benefits). There’s a usual first-time booking bonus of 250 miles. Using my link gets you 500 miles instead, because usually the person referring you also gets 250 miles with your first stay and I’ve worked with PointsHound to give that extra 250 to you instead. It also gives you the first 60 days at “level 2 earning” which gives folks an extra 50% miles on their bookings roughly (the more stays you book the higher the level you earn with them, the more miles each booking will earn). Also, as a thank you for signing up, you’ll receive an ADDTIONAL 500 miles with your first booking, so start shopping! We will also be upgrading your account to Level 2 status, which will happen with in the next 24 hours. You’ll receive an email from us once completed! You may want to wait those 24 hours before making a booking in order to earn the higher level 2 points for your reservation, but remember to make the reservation by August 31 at the latest to take advantage of this promotion. Using a site like PointsHound to make your hotel bookings, when you can still earn hotel points for your stay (booking an eligible “Double Up” property/rate) and when the rates are the same, is a no brainer compared to booking on the hotel’s own site. With this double miles promotion you’ll also reliably earn more than going through another cash back or points portal to make your booking. too bad, UNITED is no longer part of PointsHound. otherwise I like the promotion. Just cranked a two nighter at the doubletree in midtown NY. 250 a night which was actually cheaper than Hilton’s website, total netted me around 12000 AA miles. Great deal- the double up really swayed my decision to book at this hotel- would’ve gone with a marriott otherwise. Just looked at Pointhounds for a room vs Rocketmiles. Pointshould was neary 25% more expensive, after taxes and fees. Rip off, I say! Thanks for publishing a clear article with the account upgrade link on a potentially helpful site. Has anyone been able to earn more than 23 miles per dollar? Just did a search for upcoming trip to Australia. None of the chains, Hilton, Marriott, SPG, Hyatt show any rates that offer stay/point credit. Seems like this might only be good for the one-offs. I’m a huge fan of PointsHound. It’s a no-brainier to use them, so you can earn hotel points and get elite night credits. Prices are on-par with the hotel sites, and customer service is top-notch. I’m already at Level 3, so I get some great offers. I wholeheartedly recommend them. If I book a Sheraton stay at $180/night I earn 4X by using my Amex SPG card. So for a 2-night stay 1,440 Starpoints. By booking that same stay through PointsHound I don’t get that bonus, and instead get the miles they offer. Now in the case of the double miles promotions, I’m finding DoubleUp rates (with SPG nights counting towards the 75 nights I’m trying to hit) that earn me say 2,150 AA Miles. 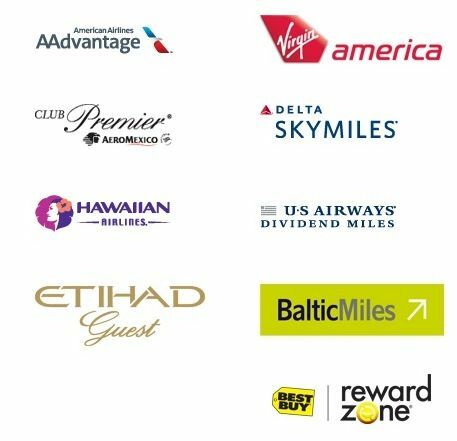 Now SPG points transfer to AA miles 1:1. So I’m coming out with more miles than I would have, though with the 25% bonus for moving points 20,000 at a time, I’d have ended up with 1,440 x 1.25 = 1,800 miles. Even with the doubled promotion I’m not earning that many more miles than I could have otherwise. And I’m earning AA miles that are easier to come by than say SPG points that are actually kind of hard to come by. Anyway, just want to point this out. YMMV obviously. @Glenn – by 4 points with your SPG Amex I assume you mean 2 points per dollar for in-hotel spend (base member, non-elite, or else it would be 3) plus 2 points per dollar for direct SPG spend on the Amex. You still earn 1 of those points for the credit card spend with Pointshound of course, and all of those points plus pointshound points if on a double up rate. Agree with John*, rates are usually higher and not all allow you to earn elite credit. The latter is not clear on their site and their customer service is terrible so buyer beware. Argh, sorry. Guess I blindly copied the copy from the Amex SPG application without parsing it. So yes you are of course correct. 2 pts/$ on the SPG card, and I’d get one of those anyway. So for that 2 night $180/nt stay I’d only be giving up 360 Starpoints, or 450 “miles” vs. the 2,150 AA miles I got from RocketMiles during the double promotion. Or 1,075 AA miles normally vs. 450 “miles” booking via SPG. So still better to go with PointsHound when you can find a decent rate at an acceptable hotel. That said, I really only come out of my hole for these double points promos unless I’m booking a non-elite stay at some other chain I don’t frequent. @RRK – BTW, United Airlines (hotel reservation) is offering 1000 miles per night for booking hotels that average $149 and above a night.